How to not waste any of those delicious turkey leftovers. Turkey leftovers? Of course you have them! 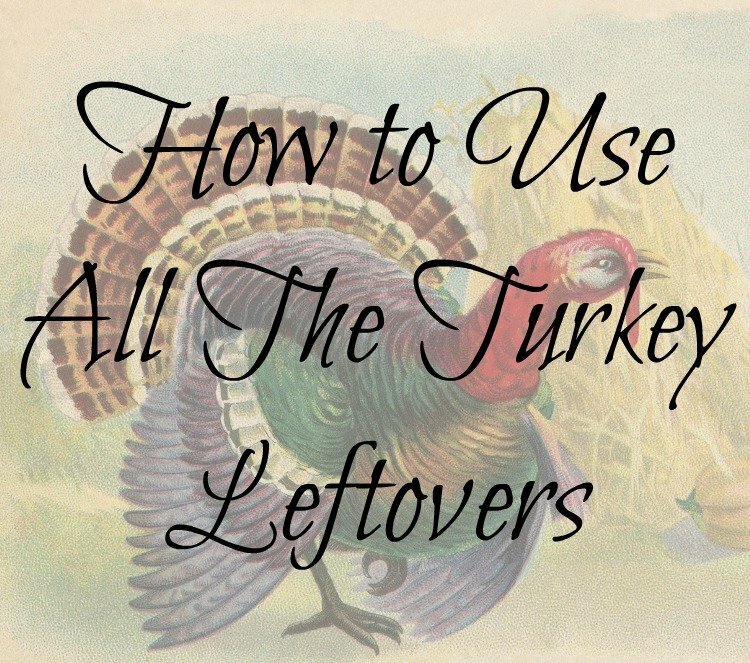 Not only do you have the leftover turkey meat, but that carcass to deal with as well. What do you do with it all? I’m so glad you asked! As soon as lunch has settled and most everyone is napping, I take the meat off the bone. Of course I mean what’s left of it. I put some of that in the refrigerator for later that evening. 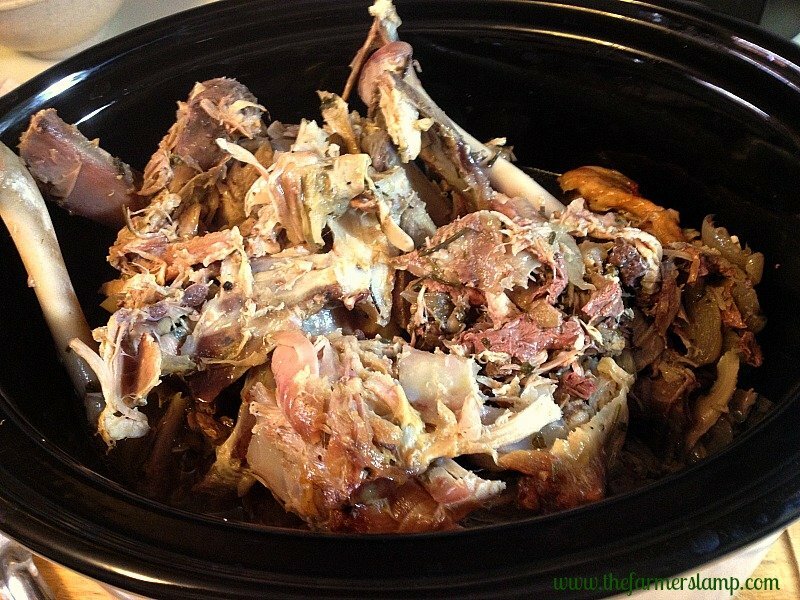 Then I take everything else, every shred of turkey carcass left, including the liquid in the bottom of the pan and put it in the crock pot on low. Let it cook for at least 24 hours. Then let it cool for an hour or so. Drain everything through a colander into a heat proof bowl. Once you’ve strained it, you can add any meat left to what’s already in the refrigerator. The bones get discarded (unless you have hogs). I divide the broth into freezer proof bowls. These bowls are just the size I want for broth base in soups later on. I freeze the broth in the bowls. 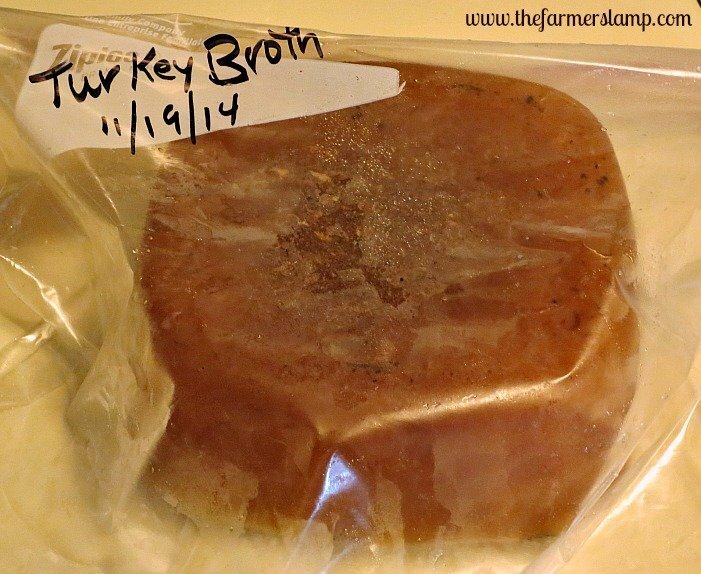 When they’re frozen solid, usually 6-8 hours later, take the frozen cubes of broth out of the bowls and put them in freezer bags. Canning your homemade broth is a great option too. It’s especially important to consider if you are trying to not be dependent on the grid for your food preservation. I found a recipe for making your own bullion cubes from broth. I’m going to try that this year. I’ll let you know how that turns out. I’m always looking for ways to be less dependent on electricity. When you’re ready to make soup, pop one of your broth cubes in the pot as your base. 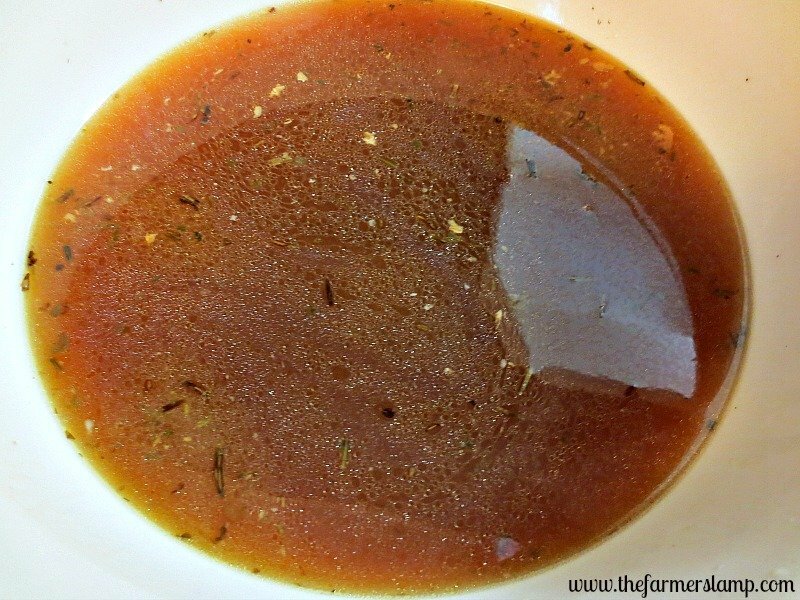 You’ll have a rich, nutritious, flavorful broth base. Of course, the second day who doesn’t love a turkey sandwich on sourdough bread with homemade mayo. Then there’s the fabulous turkey salad sandwich. Yummy for my tummy. Turkey pot pie is one of our favorites. You can use a basic pie crust or make biscuit dough and use that. I like to use biscuit dough because it makes a thick crust for the pot pie. I make up biscuit dough and spread it in the bottom and up the sides of my dutch oven. Then I mix the turkey with whatever leftovers or fresh veggies I want in the pie and top it off with another layer of biscuit dough. Bake for 30-45 minutes at 400 degrees and you have a “fresh” meal. I like one-pot-wonders! My family likes me to make Creamy Turkey Topping. I start by making cream of mushroom soup.hop up the turkey and add it to the soup then serve it over rice, or leftover dressing, or with bread, leftover sweet potato casserole, or just sweet potatoes. Sounds yummy! And I’m stuffed. Of course, there is always the good old standby: Turkey soup. I make turkey soup “IF” I have any turkey left on the fourth day after Thanksgiving. This uses up anything that may have been wasted otherwise. If it makes a large pot of soup, I freeze or can it for later. I hope this helps give you some ideas on what to do with that leftover bird. 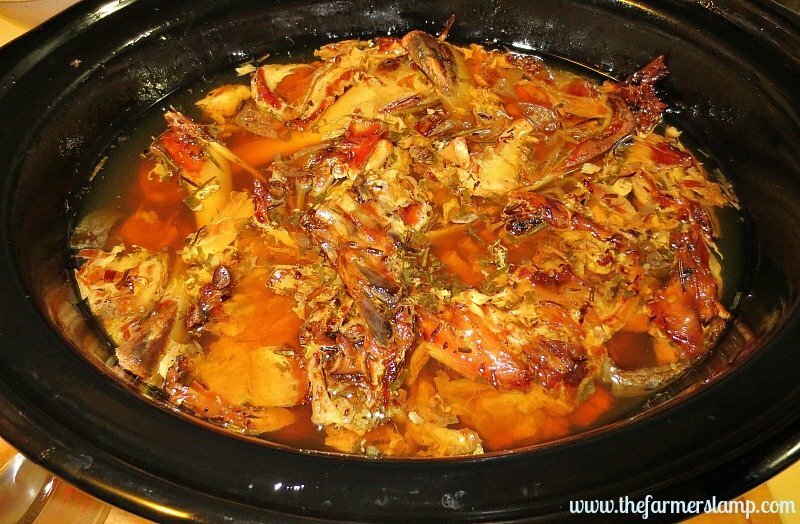 What are some of your favorite ways to use your leftover turkey? Be sure to share them with us in the comments or use the contact me page. So glad you had a wonderful Thanksgiving.